Settle in for truly limited edition garments! The next chapter of the collaboration with the talented team of Blue Print Amsterdam run by Celia Geraedts is all about the logo. For this special limited edition we merged two trades again: crafting high quality, timeless essentials meets the skilled indigo art of finely hand stenciling with true pristine indigo colorant. The result? 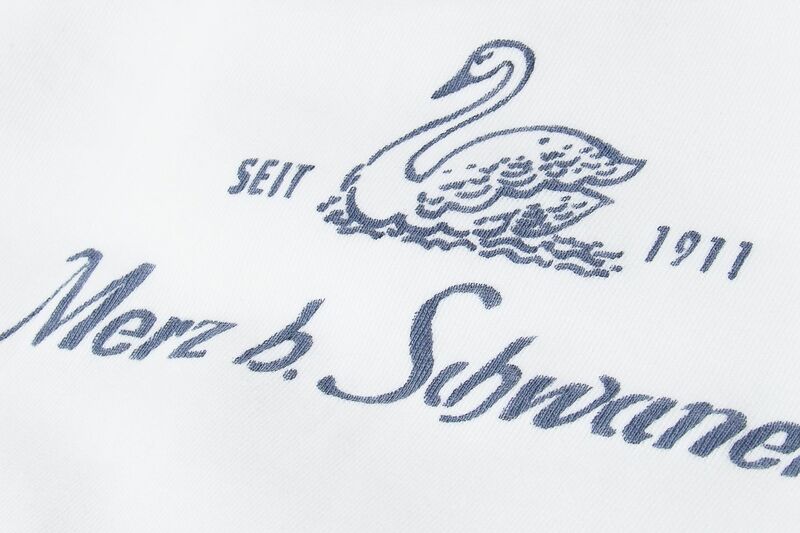 Very special garments and the premiere of the very first Merz b. Schwanen swan-branded styles. Does this make your indigo-loving heart beat faster? 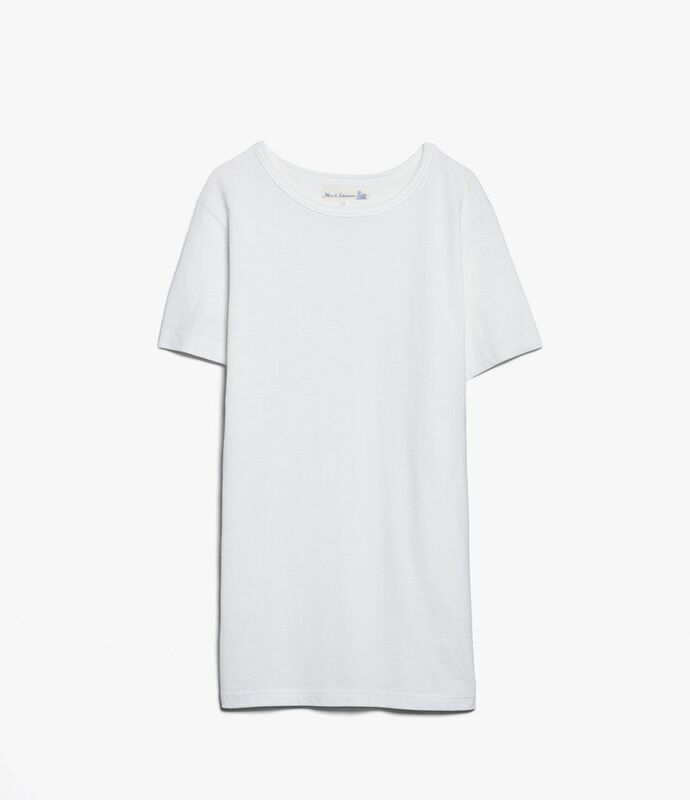 Now you can easily show where your new favorite garment comes from. 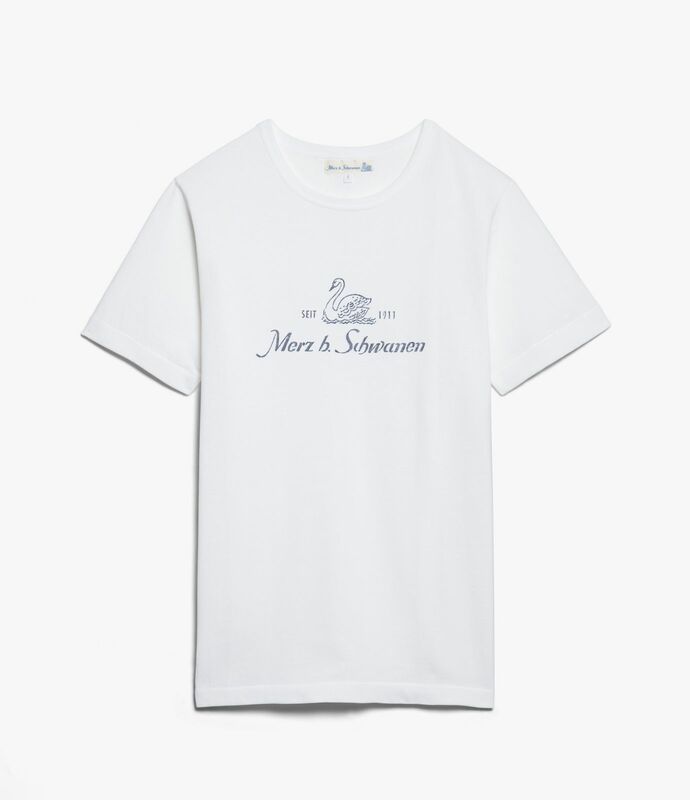 The signature Merz b. Schwanen logo in its clear blue color seems perfect to be hand-stenciled with all natural indigo. 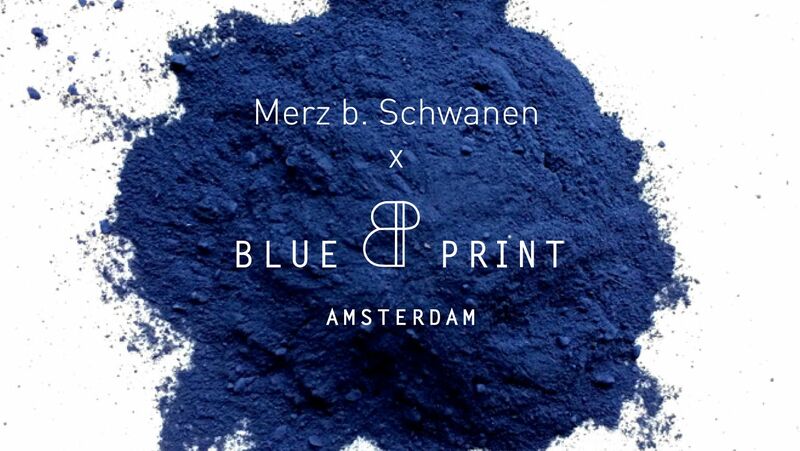 So for spring / summer 2018 Blue Print Amsterdam customized Merz b. Schwanen’s very first swan-styles. The atelier, founded by Celia Geraedts, is specialized in putting traditional crafts in a new daylight. After mastering the elaborate trade of indigo dying and stenciling in Japan, Celia opened her indigo-atelier in Amsterdam. Get ready for real one-of-a-kind pieces! By hand-painting, the logo with real, natural indigo on our iconic styles, Celia made already unique shirts even more special. Be quick to secure your favorite — there is only limited quantity!